Veterinarians should play a key role in helping to guide clients towards trainers who use appropriate methods and have some baseline knowledge about dog behavior. For veterinarians who do not wish to cultivate relationships with specific trainers, but would like to give their clients guidance on choosing a trainer, providing a handout that their clients could use to screen trainers should help. The screening information below can also be downloaded as a handout from ACVB website here (AMERICAN COLLEGE OF VETERINARY BEHAVIORISTS). This screening process is designed to help clients avoid trainers who use methods that can often lead to more problematic behaviors and impair an animal’s welfare. * It is advised that clients call and interview a trainer prior to hiring them. If the trainer you are considering using falls into any of these categories, you should pick another trainer. · If the equipment recommended for basic obedience includes or is focused on choke collars, prong collars, or shock collars. · Trainers who ban head collars of any kind may rely unduly on force. · If the trainer instructs you to manage your dog’s behaviors by pinching toes, kneeing the dog in the chest or abdomen, hitting the dog, forcibly holding the dog down against their will, constantly yelling at the dog, frequently yanking the collar constantly, or using prong, choke, pinch or shock collars or electronic stimulation. · If the trainer believes most or all training is about encouraging the person to be “alpha” and teaching the dog to “submit”. · If the trainer explains that most dog behavior, for example jumping on people, occurs because the dog is trying to be “dominant”. · If a trainer recommends “alpha rolls”, “scruffing”, “helicoptering”, “choking” or any other painful or physical methods as a means of “training” or modifying behavior. * Please note that having initials after one’s name is not a guarantee of a trainer who will not engage in these practices. To maximize the chances of recommending or using a qualified trainer, the dog owner will need to ask the trainer some basic information, and see for themselves how the trainer treats the dogs in the classes/consultations. Read Why is Certification Important? Veterinarians who wish to develop a relationship with one or more trainers in their practice will want to acquire the screening information above, and, in addition, learn information as listed below. · You will want to interview trainers with whom you are going to affiliate. 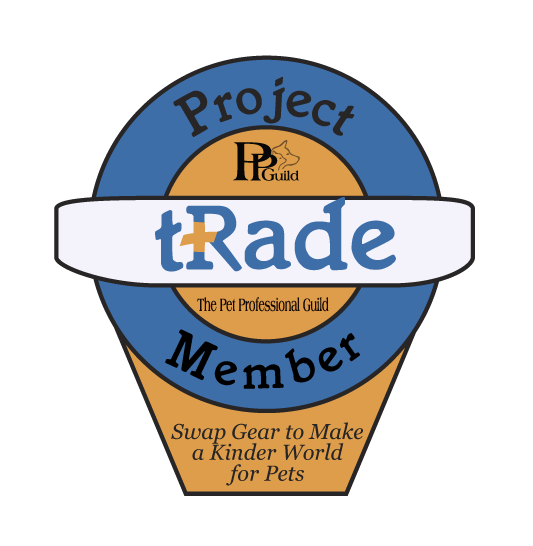 You can prescreen trainers to interview by selecting those with a certification from an organization that espouses scientifically based, humane training techniques, such as CPDT1, IAABC 2 or KPA3. · You will want to ask about the trainer’s education and training. Ideally you want someone who, at a minimum, has taken classes in animal behavior, learning theory, and psychology. You can ask for a curriculum vitae, records of continuing education, course syllabi, and a reading list. · Invite the potential trainer to your practice and have them train a staff member’s dog so you can see them work. · Pay attention to how the trainer teaches the animal they are training, and to their ability to talk to and teach people. · Does the trainer offer guarantees? If one is offered you may wish to consider other options. · Ask the trainer if there are certain behavior cases that would exceed their abilities. If so, ask the trainer what these are. Remember a good trainer will know when to refer. · If you are recommending anyone’s classes, you should observe a class. Good marketing skills do not make a good trainer: competent education makes a good trainer. The only way you can learn about the latter is to learn about the person. Remember that cards and pamphlets displayed in your practice may carry your de facto endorsement. All veterinarians should advise their clients, and the trainers with whom they recommend for puppy classes, obedience training et cetera, that should the dog ever start to show signs of aggression, fear, anxiety, distress, or any other condition that they find worrisome during training that they need to let their veterinarian know. Such dogs may need additional help, or such behaviors may flag problems in the training itself. Regardless, they should be evaluated immediately by a veterinarian and should not continue in training until they are evaluated. In addition, advise owners that if they ever feel uncomfortable with something that they are asked to do to their dog they should stop working with that trainer and alert you to the problem. This type of communication ensures high quality care for behavioral health, and educates clients to discuss behavioral problems and concerns with their veterinarian. The veterinarian can then decide to treat or refer. Head Collars, Are They Really Aversive? Are they dangerous to dogs? As part of our ongoing work to promote humane practice in the training and behaviour therapy of animals we have prepared a statement detailing our position on ethical dog training.